Learn more about the department's environmental studies major and minor and sustainable development minor. 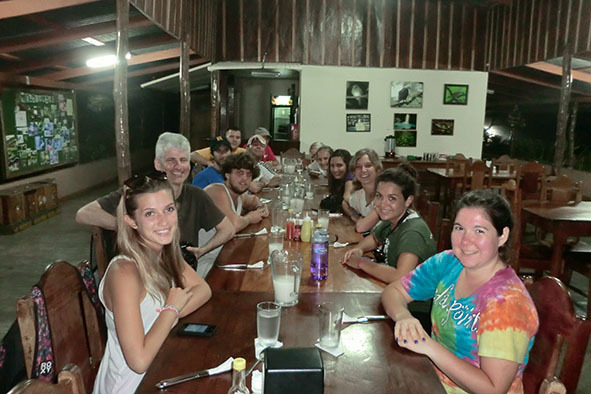 In the ENV365F Environment and Development in Central America course, faculty and students take part in a field study in Costa Rica to understand the social and historical context and management issues in protected areas around the world. The Environmental Studies curriculum provides a foundation of knowledge that enables students to analyze and recommend actions on environmental issues, problems, and opportunities. It also offers preparation for an environmental career; broad background in several related areas of study or concentration in a particular discipline; and a basis for graduate study. The curriculum of the Sustainable Development minor is built on the premise that sustainable development means reconciling the need for economic growth, particularly in developing nations, with the related problems of the degradation of natural resources and destruction of the social fabric. Rather than pit environmentalists against corporate leaders, the goal of this set of courses is to help students understand how corporations, environmental organizations and local and national governments, might work together to solve vexing problems.